I have a major backlog of recipes to share with you all! This slow-cooker recipe is perfect for when the days start to get cold and you’re craving something hot and satisfying to warm you up. It also requires very minimal work/attention. I have to credit this recipe to my husband’s culinary genius, as he is the bean expert in this family. This recipe has been carefully refined over the years and I can safely say it’s pretty much perfect by now. Rinse the beans and check for rocks. 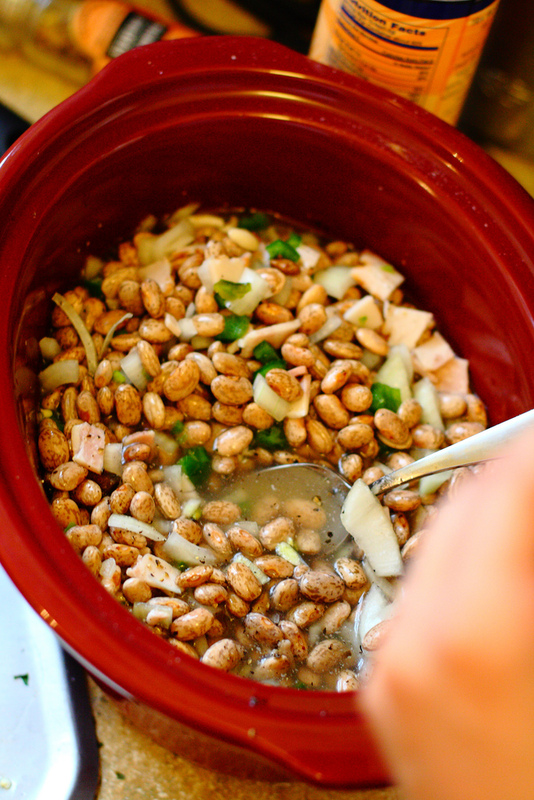 Place the beans in the slow cooker. Add the filtered water and let them soak overnight (8 hours minimum). 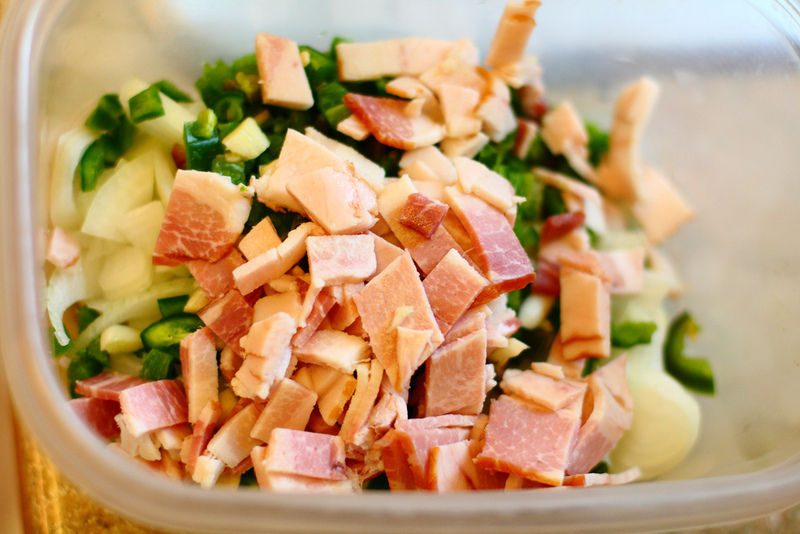 In the morning, add the bacon, onion, jalapenos, spices, salt, and pepper. 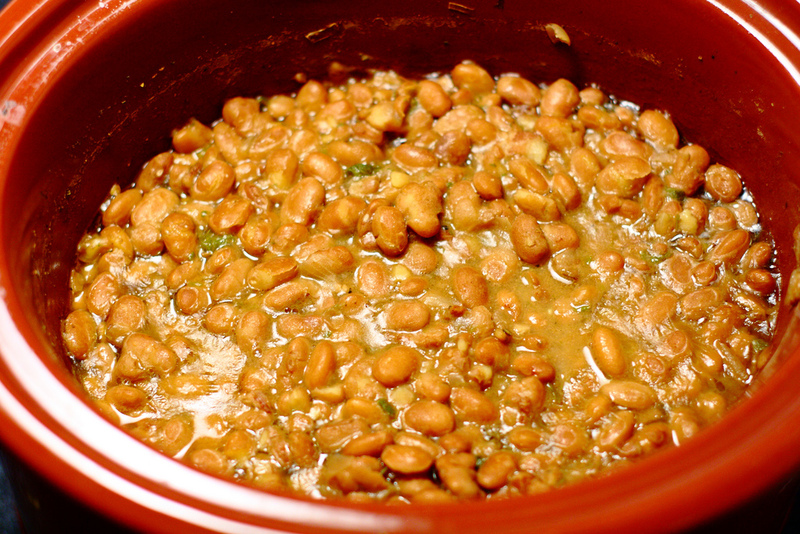 Turn the slow cooker on High and cook for 6-7 hours until the beans are soft and the broth is thick. Adjust the salt and pepper to taste. These beans are great for “Round 2” recipes. Slap them on a tortilla with cheese, microwave for a minute, and Bam!, you’ve got yourself a delicious bean burrito. Fry ’em up and you’ve got refried beans. I’m sure you creative cooks out there can dream up endless possibilities. PS I apologize for the shameless use of Food Network catch-phrases. It was too easy. Yum-O! wow that looks delicious easy AND healthy. darn it. now I am starving. yum, if only I had a slowcooker! Wow, that looks freaking delish! And so easy! My Blog and one of the most trendy stores ever are givingaway one amazing shearling coat to one lucky winner! And, congratulations! You have finally convinced me to go buy a slow cooker. Well, you and bacon. I love beans. This looks really good! This sounds good! And it does sound easy. My roommate has a slow cooker, so this could totally work.